I just wanted to write a quick post from my desk at work, because I just love my readers oh so much! So, is everyone as excited for October as I am? I love Fall so much ahhhhhh! I am so excited for my Fall styled shoot, blogging some outfits, Friendsgiving, working on an engagement shoot (my first, woo! ), visiting Brian in Georgia, and taking lots and lots of Fall inspired pics. :) Ugh, just thinking about it makes my heart all warm and fuzzy. Here's my inspo for my Fall events coming up. I'm really into the orange and deep tones, and as always lots and lots of greenery. Hope you enjoy! 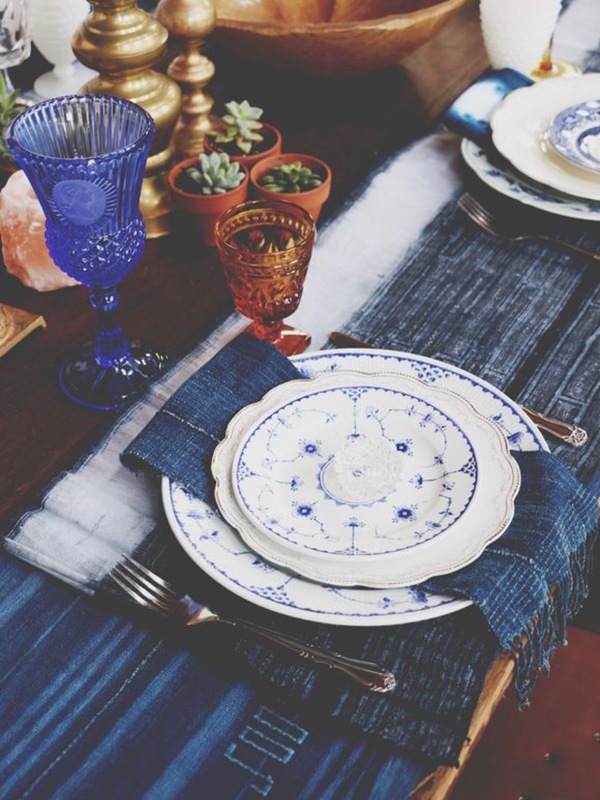 I love how the orange and blue compliments each other, and the sprig of rosemary on those place settings- it's going to work perfectly for Friendsgiving. Absolutely beautiful! Be on the lookout for those event photos as it gets closer to November, and have a happy Friday!